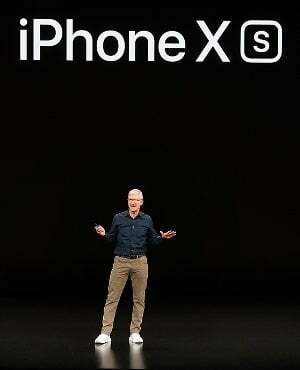 Apple’s latest iPhones show how even the world’s largest company has to surrender to the dictates of a crucial Chinese market. The iPhone Xs models unveiled Wednesday come with an “eSIM” feature that supports two cellular services and easier switching between carriers, but that technology won’t be available in China, Hong Kong and Macau. Instead, it will offer slots for dual physical SIM cards, which identify and authenticate a user’s phone number. It’s rare for Apple to tailor its products for specific markets because it likes to standardize as much of its designs as possible to make manufacturing efficient. But the U.S. company has much at stake in China, its largest market after the US as well as the main production base for the world’s iPhones and iPads. Its market position there is now under attack from savvy domestic players like Huawei Technologies Co. and Xiaomi Corp., which employ more locally oriented services. “The use of eSims will let customers change carriers much easier, a situation that Chinese carriers do not want to see,” said James Yan, an analyst with Counterpoint Research. The dual-SIM concession shows the world’s most valuable public company is willing to make sacrifices to access the world’s largest smartphone and internet market. Apple generated $45 billion in revenue from Greater China in its 2017 fiscal year, about 20 percent of total annual sales. Apple didn’t say why its eSIM technology isn’t available in the country, and a spokeswoman didn’t respond to an email seeking comment. It may be related to Chinese market restrictions or regulations. The smartphone market is thoroughly dominated by a trio of state-backed carriers led by China Mobile Ltd., which strictly control and monitor smartphone usage as well as registration by individuals -- just one aspect of Beijing’s obsession with monitoring all online activity. Last year, the Wall Street Journal reported that wireless carriers abruptly shut off cellular access to Apple’s third-generation Watch for new users. The Watch has its own eSIM technology and industry analysts told the newspaper this could have made it harder for carriers and regulators to track the device user’s identity. Apple has made concessions in the past to comply with Chinese law and support its business. In 2016, Beijing ordered the company to shut down the iBooks Store and iTunes Movies. Last year, Apple was ordered to remove hundreds of applications from its Chinese app store that let people mask their location and circumvent official efforts to block certain websites. Apple has also agreed to shift storage of data for Chinese users of Apple’s iCloud services to server farms operated by Guizhou Cloud Big Data, a company with local government ties.